User expectations are changing. Users demand a better user experience with support, fast response and short resolution times. At the same time, IT is under pressure from the business to reduce risk and cost. In this world, the service desk continues to be the main bridge between the business, users and IT. Hewlett Packard Enterprise has added a new offering, HPE ITSM Automation Suite, an on-premise software suite which helps today’s IT organizations meet these new needs. 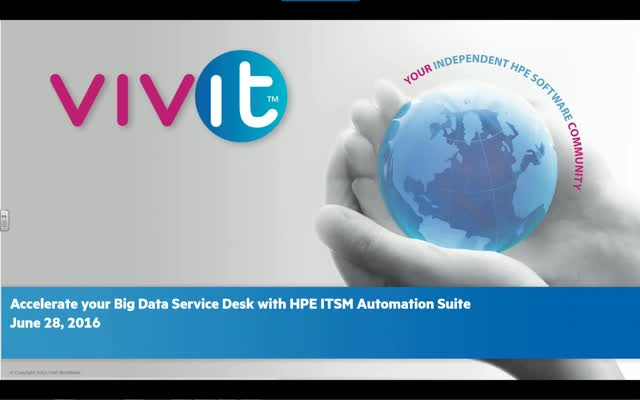 HPE ITSM Automation Suite provides all software needed to build your big data service desk. What is HPE ITSM Automation Suite and why you should care?